The Hera Research Newsletter (HRN) is pleased to present the following exclusive interview with Eric Sprott, Chairman, Chief Executive Officer and Chief Investment Officer of Sprott Asset Management LP and Chairman and CEO of Sprott Money, Ltd. With over 35 years of experience in the investment industry, Mr. Sprott is the Senior Portfolio Manager for numerous funds comprising several billion dollars in assets. After earning his designation as a chartered accountant, Eric entered the investment industry as a research analyst at Merrill Lynch. In 1981, he founded Sprott Securities (now called Cormark Securities Inc.), which today is one of Canada’s largest independently owned securities firms. After establishing Sprott Asset Management Inc. in December 2001 as a separate entity, Eric divested his entire ownership of Sprott Securities to its employees. Eric’s investment abilities are well represented by his track record in managing the Sprott Hedge Fund L.P., Sprott Hedge Fund L.P. II, Sprott Bull/Bear RSP Fund, Sprott Offshore Funds, Sprott Canadian Equity Fund, Sprott Energy Fund and Sprott Managed Accounts. In December 2004, the Sprott Hedge Fund L.P. was awarded the Opportunistic Strategy Hedge Fund Award at the Canadian Investment Awards. In addition, the Sprott Offshore Fund Ltd. won the 2006 MarHedge Annual Performance Award under the Canada-Based Manager category. Furthermore, in October 2006, Eric was the recipient of the 2006 Ernst & Young Entrepreneur of the Year Award (Financial Services) and the 2006 Ernst & Young Entrepreneur of the Year for Ontario. In December 2007, Eric was named Fund Manager of the Year by Investment Executive, a widely circulated publication for Canadian financial advisers. In October 2008, the Sprott Offshore Fund Ltd. won the award for the Best Long/Short Hedge Fund globally by HFM Week, a leading publication for the global hedge fund industry. Eric’s predictions on the state of the North American financial markets have been captured throughout the last several years in a series of investment strategy articles entitled “Markets At A Glance”. Hera Research Newsletter (HRN): Thank you for taking the time to talk to us today. You’ve commented in your articles and elsewhere that the financial problems of the United States are much more serious than one might imagine based on the official statements of the US government. Eric Sprott: The situation goes back at least to 2000 when we saw the Nasdaq rolling over. Before it rolled over, we’d written about it, in fact, we almost to the day published an article entitled “Speculation is Rampant, Don’t be a Part of It”. From that point on, I’ve believed we’re in a secular bear market. The Nasdaq certainly has been in a secular bear market since then. Somehow they resurrected the S&P and the Dow but in order to do it they had to start a housing mania and a lending mania and now, a government spending mania. We still think that the situation peaked in 2000 and continues today in a secular bear market, but it’s morphing into a bigger problem. HRN: What is the bigger problem? Eric Sprott: The bigger problem that we have today is where the sovereign risk stands and the size of the US deficit and I think that the question today is “Does Keynesianism work?” In other words, if you spend money it’s supposed to stimulate your economy, but there have been a number of reports suggesting that the opposite happens, that you get a negative return for government spending. One study was done in Canada by the Fraser Institute and another was done by three Harvard professors and their conclusions were that government spending was not good for private enterprises, period. You can see this if you look at a chart showing the marginal value of each dollar spent by the US government from 1960 to today. HRN: Do you mean the marginal return on a dollar of debt? Eric Sprott: The marginal value of government expenditures, yes, debt, essentially the deficit spending. The economic effect of running deficits is now something like negative 40 cents on the dollar. I think Keynesianism is sort of being stood on its ear and it seems quite likely that there is a negative return on deficit spending. For example, if the US government extended unemployment insurance benefits yet again, what do we all think the people receiving unemployment benefits would do? Would they be rushing out to get a job or not rushing out to get a job? You see, deficit spending almost always works against the system. When I look at US GDP, which I think last year probably went up by $400 billion, but, at the end of the day, there was an extra debt of $1.5 trillion and this year it will probably go up by the same amount, any thinking person would realize that if you tack on $3 trillion of debt and you’ve got less than $1 trillion of GDP growth, that’s a formula for bankruptcy. HRN: Are you saying government stimulus doesn’t work because debt rises faster than GDP? Eric Sprott: Yes, it doesn’t work. I’m not even including debt at the state and municipal levels. I’m just using federal debt. Debt at other levels of government in the US is going up too, but not at the rate the federal government debt is increasing. HRN: What sort of outcome or endgame do you foresee? Eric Sprott: A few months ago, I wrote an article entitled “Surreality Check Part Two… Dead Government Walking” where I specifically zeroed in on the US government. When I wrote Surreality Check … Dead Men Walking back in November of 2007, I predicted that some companies—I pointed out Citigroup, GM, Fannie, Freddie—were all broke. They had pretty good market caps at the time, but the reality was that they were broke and I think the reality is that the US government is broke. If you take all of the unfunded liabilities—the number is something like $60 trillion or $100 trillion—there’s absolutely no way that it can be repaid. They’re going to have to repudiate some obligation, just as other governments are doing now. For example, the UK and France and maybe even Germany all extended the number of years you have to work before you get a pension. There is a sense of repudiation of what they promised and that will have to happen in the US as well. HRN: Is debt monetization a repudiation of debt? Eric Sprott: All of history says we shouldn’t trust government, so why do we trust the money that the government says is worth something when the history of governments is one broken promise after another? The only thing they’ve done, over the last 90 years or so, is to keep gouging the taxpayer, while at the same time racking up increasing debt. There’s very little responsibility at the government level for the financial well being of a country in the long run. Fiat money will all go back to its intrinsic value, which is zero. You need real things to support the valuation of currencies. I find it absolutely shocking that we trust government. HRN: Since you expect fiat currencies to fall in value, do you also expect real assets to rise in price? Eric Sprott: I think it depends on the class of the real asset and what determines its value. For example, I always question real estate because a lot of real estate is so indebted. If people have to pay their debts back you can have real estate going down, even though you might be in QE2 or QE3 by the time, because there’s just not enough cash flow being generated. I think of things like agricultural products, oil and gas. I think of things that can be used as a medium of exchange, such as gold and probably silver, or maybe other precious metals but that’s the category I think is the most survivable in terms of holding its value. HRN: Is that why you’ve invested in precious metals and gold in particular, to survive the bear market? Eric Sprott: My history with gold goes back to about 2000 when things were bottoming out there and, in fact, coincided with our belief that we were going into a bear market. When you look at any bear market, you think “How do you survive it?” We’ve thought ‘you’ve got to have gold and gold stocks’ and it’s worked out so beautifully that it’s shocking. To think that the markets over the last 10 years are down and gold is up something like 500% and gold stocks are up something like 1200% from their lows. That’s been the place to be. 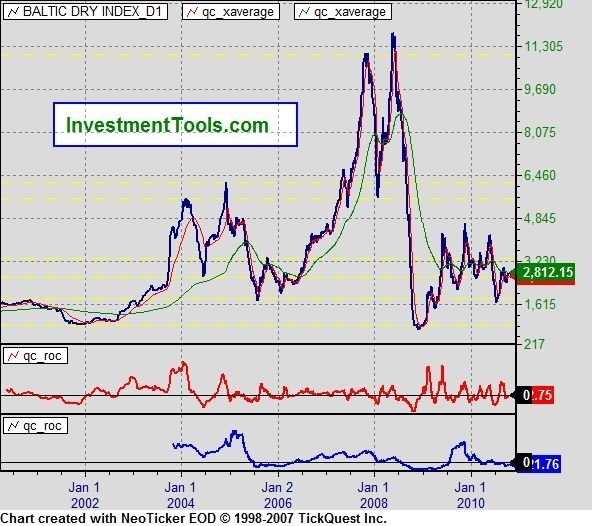 HRN: It seems a lot of money is flowing into the Sprott Physical Gold Trust (NYSE:PHYS). Eric Sprott: As it applies to US residents, the tax rate on a capital gain in the Sprott Physical Gold Trust is 15% today whereas if you own the ETF, because gold is considered a collectible by the IRS, the tax rate is 28%. That’s a big reason for people to choose this vehicle versus an ETF. In addition to the tax benefits for US investors, the gold is held at the Royal Canadian Mint in Ottawa and to some people in the US that’s a good thing, because they’d like to see it out of the country. Also, the trustee is not a levered financial institution. The trustees for the gold and silver ETFs are levered financial institutions and therefore, when you have leverage there’s always potential risk. Of course, the reason we started it was that a lot of people realized there’s so much paper gold around that when you go to claim your gold it’s not going to be there. HRN: I understand there’s a premium of between 5% and 10% for shares in PHYS over the spot price of gold. Eric Sprott: We wanted people to be able to literally get their physical gold, so there’s a mechanism where, if you can buy a bar, which is 400 ounces, we will deliver it. The physical quality of it—the knowledge that the gold is there—in addition to the tax advantages, creates the premium. I think it’s justified. There are certainly no other North American vehicles where you can get physical gold. That’s why we created this vehicle. HRN: So, there’s a level of insurance that’s just not there with ETFs like GLD. Do you view gold purely as insurance or do you also view gold as currency? 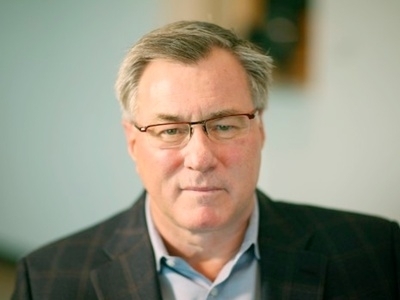 Eric Sprott: When I first got involved in gold, I came to the conclusion, based on Frank Veneroso’s book, The Gold Book Annual 1998 (Jefferson Financial, 1998), that the gold market was being suppressed by central banks and that that logjam had to break. Veneroso proved that there were sellers of about 400 tons a year. Given enough time, their willingness to sell gold had to run out. Now we are in a situation where central banks, which used to be sellers of gold, have become buyers of gold. The gold market is very small. The mines produce, let’s say, 2,600 tons per year and the central banks used to sell 400 tons. That’s a lot of tons in a 2,600 ton a year market. Now, central banks are buyers of probably 200 tons or more. I think the World Gold Council estimated that central banks bought as much as 400 tons last year. Imagine a shift of going from a seller of 400 to a buyer of 400 in a mine supplied market of 2,600 tons. Where are all of the normal users of gold going to get gold with this huge change at the central bank level? HRN: It’s curious that central banks would have sold gold as the price was declining and are now buying when the price is rising. Eric Sprott: Now we have gold ETFs, that didn’t even exist 10 years ago, and they are now among the largest owners of gold in the world. There are also funds like ours and Paulson & Co. or David Einhorn’s fund, Greenlight Capital, as well as various pension funds that now own gold but that never owned gold 10 years ago. Where are these funds getting all of their gold when they weren’t even part of the supply and demand equation 10 years ago? I wonder where all of this gold is coming from. I’ve always been suspicious that it’s surreptitiously coming out of the central banks. HRN: Central banks manage the exchange rates of currencies, which is no secret. If gold is still treated as a currency, the gold exchange rate might be managed, as it was under the London Gold Pool. Eric Sprott: Central banks can also influence bond markets, and not just government bonds. Last year the US Federal Reserve bought $1.2 trillion worth of mortgage backed securities. HRN: That was a huge injection of liquidity. Eric Sprott: We’ve had a huge shot in the arm both in the financial markets and in the fiscal markets, but we took on huge debts as well. The hand of government in everything has been unbelievable and what do we have to show for it as we sit here today? 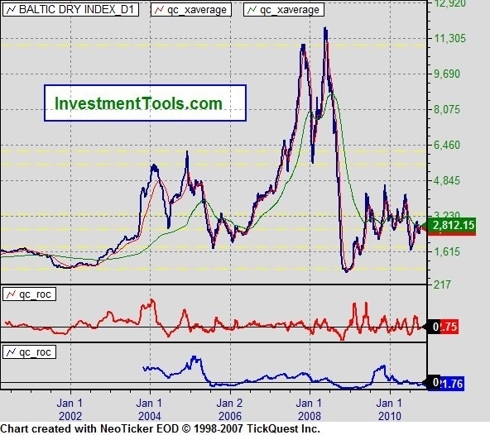 We’ve seen the economic data fall off a cliff: retail sales, new home sales, consumer confidence, the Baltic Dry Index, the Chinese stock market index. I mean, the things that have fallen off the table have been so dramatic and over such a short time. HRN: We’re not seeing much of a recovery in the US. Eric Sprott: In some of the data you’re seeing, no recovery. Housing, for example, is at a dead, flat bottom. I expect that car sales are going to start doing the same thing. In fact, we’re going negative right now: the leading economic indicators, the ECRI Index, I mean everything. You’ve got to think we’re just going straight down, not even slowly. HRN: You mentioned the heavy hand of government in these massive interventions. Eric Sprott: The conclusive evidence is that when governments get involved with things, the impact is negative because you get a misuse of funds. It’s like the Fed goes in and buys a bunch of mortgage-backed securities (MBS) so the housing market stays together but if they stop, the housing market collapses because it was a misallocation of resources. We should not have been encouraging people to be buying houses. We should have been doing the opposite: saving money. We have to learn to save here both at the individual level, the corporate level and at the government level. The government is giving all the wrong signals, they’re getting the wrong people to do exactly the wrong things and it makes the problem that much bigger. HRN: Would it be fair to say that, in your view, central planning and the economy is just sort of an ineffective strategy? Eric Sprott: You know, I think we’d all agree when we hear that statement. Central planning doesn’t work, but then when it comes to our own government, all they want to do is centrally plan even though they don’t think they’re centrally planning, but, by god, they are. The US government is saying that to make the economy go they’re going to run a trillion and a half dollar deficit. If that’s not central planning, I don’t know what it is. HRN: I think the US national debt is expected to reach $20 trillion. Do you think the US is going to be able to borrow and roll over debt at those levels? Eric Sprott: Where does the money come from? Theoretically, the money has to come from companies or individuals. If we just took one country and said that they should fund themselves from the earnings of companies and savings of individuals and if there were no way, between the individuals and the companies, that they had the money every year to throw into government, it wouldn’t work. The US government funded itself with debt all of last year and certainly into March of this year. The thinking is that between the Fed buying financial assets in the market and the banks buying government debt and not lending, that they’ve been able to fund the government, but we’re going to find that it’s not sustainable. The process of asking people to be indebted to the tune of a trillion and a half dollars per year just at the federal level is impossible; and to do it several years in a row with the growing legacy of the debt is not sustainable. What if interest rates were where they really should be? HRN: Do you think that, with a weakening dollar, the real interest rate could be negative right now? Eric Sprott: This 0% interest rate policy, 20 years from now, will be looked at as one of the biggest financial jokes of all time. Of course, the primary beneficiaries are the banks and the government. Banks can borrow for nothing and the government can borrow for next to nothing, but the true interest rate should be much higher. I mean, what’s the point of saving? You’re asking somebody to save to fund the deficit and then you pay them nothing to save. What’s the point? You get nothing for your savings. Why would people save? HRN: With a second round of quantitative easing, QE2, do you think there could be a loss of confidence in US government debt or in the US dollar? Eric Sprott: We have a dilemma staring us in the face and I don’t see an easy way out of it. People will start questioning sovereign risk. It started with Ireland; it went to Iceland; it went to Greece; it’s maybe now with Portugal or Spain and it might be washing up on the shores of North America. As you know, the dollar has been quite weak recently and I think, as more and more people assess the problem, they’ll find that there aren’t many safe sovereign places to go. There just aren’t many. They’re very, very rare. Either there will be no QE2 and interest rates will go higher, or, if there is a QE2, interest rates can stay low, but ultimately, if we then go on to QE3 or QE4, the gig will be up because everyone will realize we’re just printing money and we’re not getting out of this problem. If we’re just printing and printing and printing, people will want to convert their bank deposits to something real because they’ll realize that fiat money is not going to hold its value. HRN: What do you see as a solution here? What’s the path forward for the world? Eric Sprott: I don’t think there’s a solution. People always say to me, “When would you not be bearish?” I say, “Well, I won’t be bearish when I see people in the central banking community and in the sovereign area start to take responsibility.” One might argue that maybe we’ve seen the first signs of that over in Europe and the UK and Greece with austerity. What’s interesting is that most of these programs start a year later. They don’t start today. It will be interesting to see when we get there, how powerful those programs will be. HRN: Are the European austerity measures indirect bailouts, preserving sovereign debt? Eric Sprott: That’s why they announce them. We saw QE with the ECB when they put a trillion dollars in for the Greek bailout. If they hadn’t announced austerity programs what would we all be thinking? You can’t get the bailout and not at least say you’re going to try to stop spending money. It was almost mandatory for people to say at the time. They all had to chime in because the Euro and the European banking system were under immense pressure. Deposits were leaving those countries, so they had to do something. HRN: How do you foresee the sovereign debt situation unwinding? Eric Sprott: I think we’re too far gone. There’s way too much debt. Just the federal debt is something like $40,000 for every American, so a family of four has got $160,000 in debt they’ve got to lug around; and that’s forgetting the states. I don’t think we can work our way out of it. 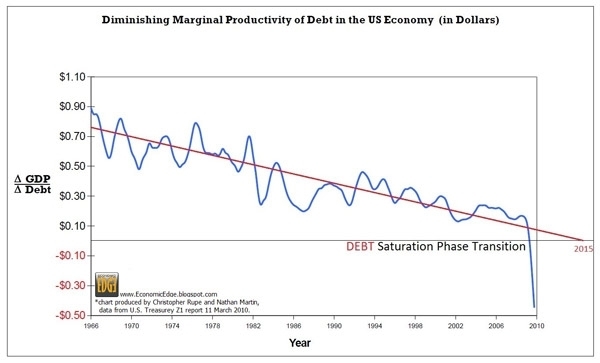 We’ve gone for 60 years by expanding debt and, all of a sudden, that era ends and you have a contraction and the contraction will be rather elongated. HRN: Thank you for sharing your views with us. Eric Sprott: Thanks a lot. Eric Sprott’s track record as a Portfolio Manager and as an entrepreneur in the natural resource sector speaks for itself. Whether one agrees with Eric Sprott’s skepticism regarding the fiscal responsibility of governments, the soundness of fiat currencies, or the stability of debt-laden companies and sovereigns, his contrarian analysis has enabled him to capitalize on the trade of the decade: gold. Between the anemic US economy, the Federal Reserve’s low interest rates and purchases of financial assets, as well as the US federal government’s deficits, and a second round of quantitative easing (QE2), the US dollar will certainly weaken further, fueling demand for gold. What are the fees for Sprott's gold fund versus a typical gold ETF?